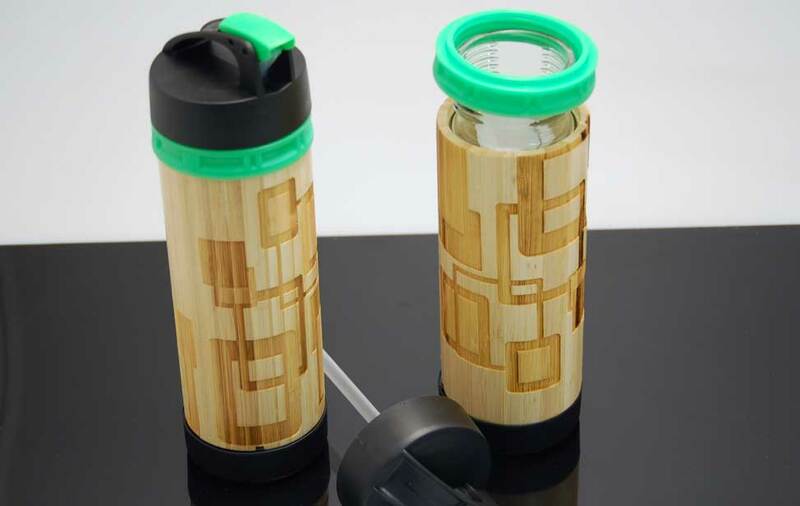 Check out this retro- looking square design on these charming bamboo-cased water bottles! 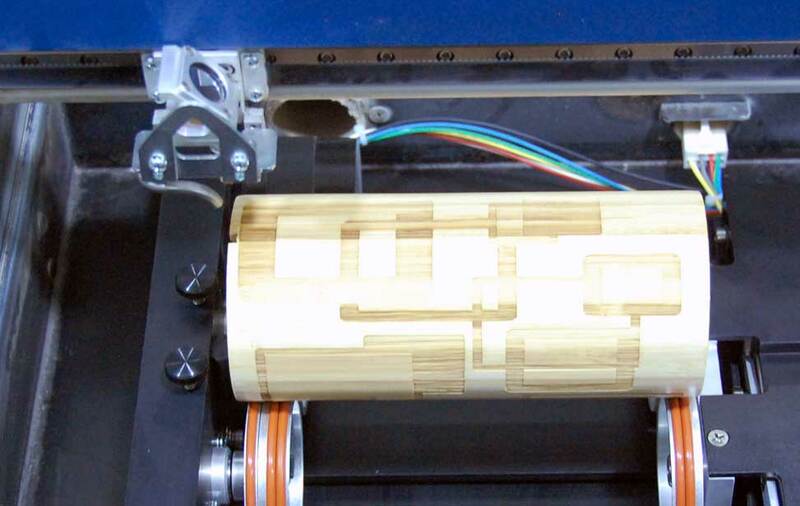 Laser etched bamboo provides a great, natural look to this fantastic material. 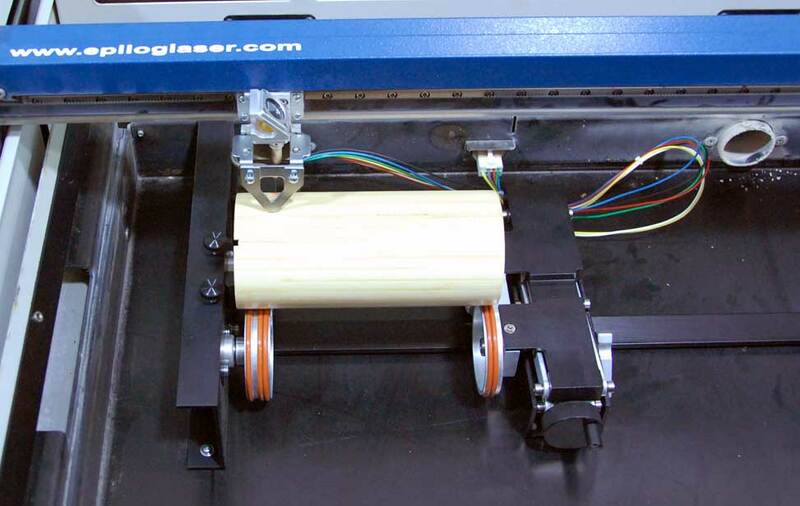 The Rotary Attachment is set up in the laser and ready to run the engraving. The finished product, ready to remove from the Rotary Attachment. Water bottle - we got ours from the Bamboo Water Bottle Company. 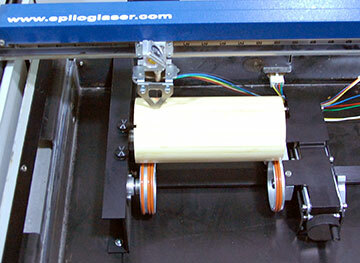 We used a 60-watt Helix with the following settings: 80% speed, 100% power. Don't be afraid to experiment with different settings for a deeper or lighter look. 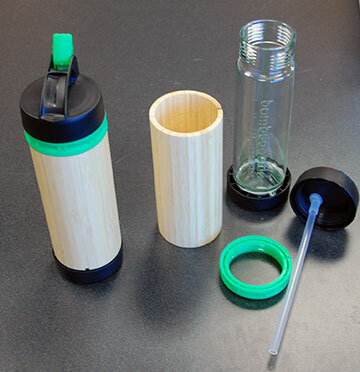 First disassemble the water bottle so your are only working with the bamboo portion. The image to the right shows a complete bottle and also one that has been taken apart - there are very few components and disassembly should not be difficult. 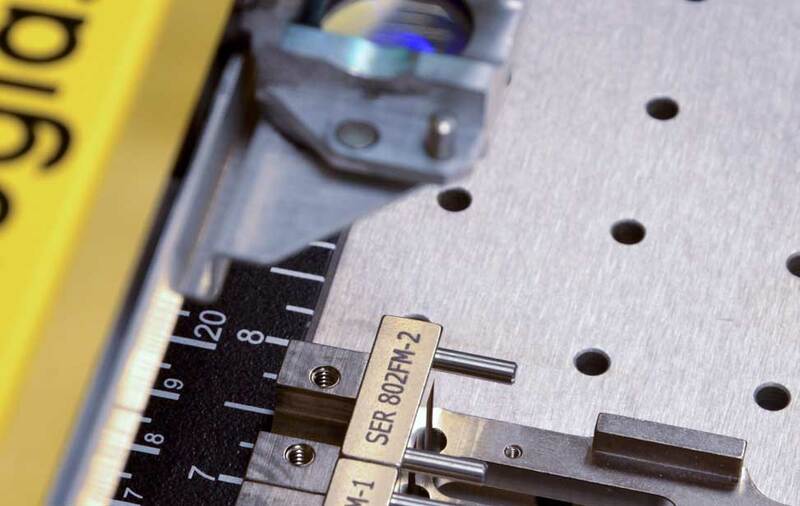 Next you'll want to remove your engraving table so you can insert the rotary attachment. 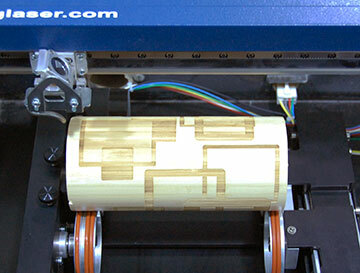 Then, insert the bamboo case on the attachment and focus the laser with either the manual or automatic focus. 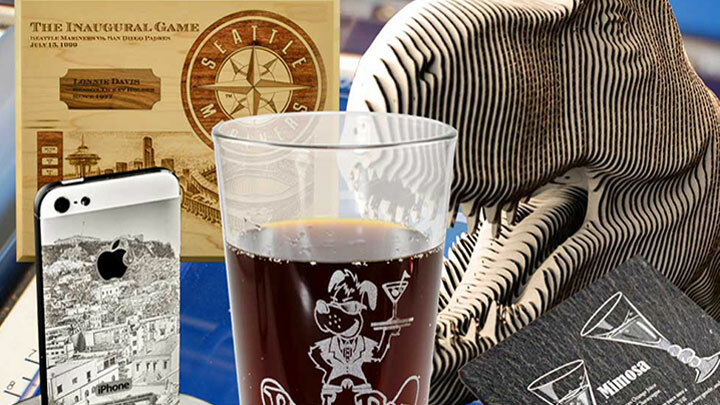 Open the file sc-bamboo-bottle.cdr and make any changes you'd like. 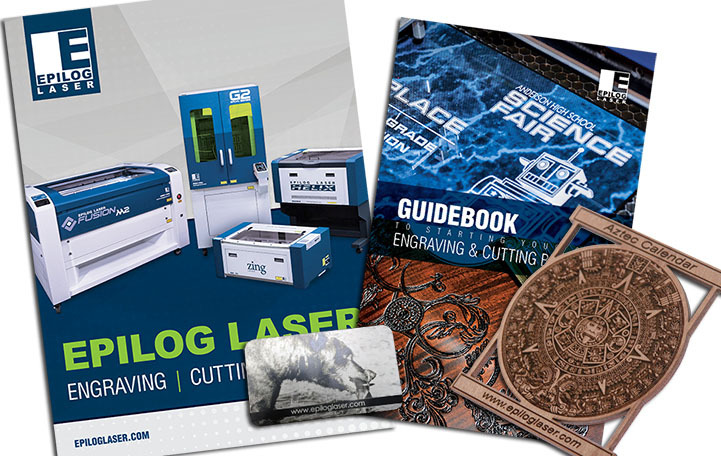 Then send the job to the laser - it's that easy!